Atbahrain, a wholly owned subsidiary of Bahrain Mumtalakat Holding Company (“Mumtalakat”) announced today that it has signed an agreement with Marhaba Services (“marhaba”) to join forces to improve visitors’ experience in the Kingdom of Bahrain. The signing took place on Sunday 31st January, at Atbahrain’s offices, and was attended by Atbahrain’s General Manager, Mr. Benjo Vanlaarhoven, and Mr. Fathi Alsaeed, General Manager of marhaba Bahrain. 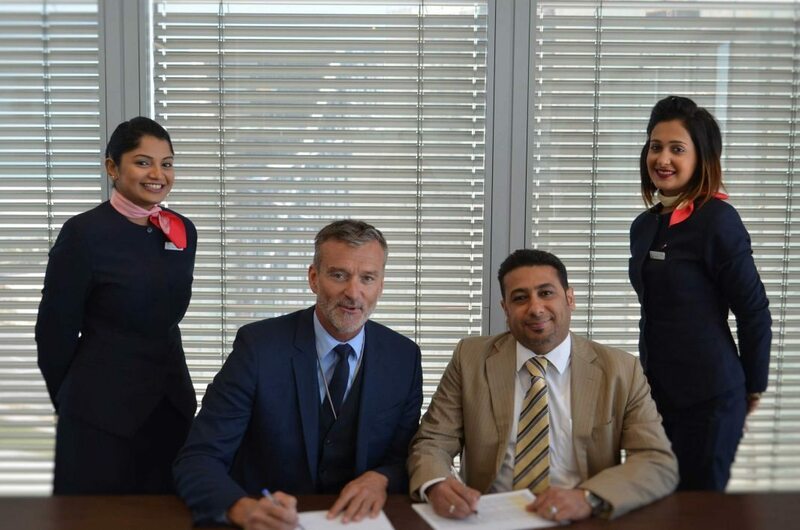 The new partnership will enable Atbahrain to offer seamless services to visitors from their arrival at the Bahrain International Airport until their return to their home countries. marhaba’s wealth of experience in providing Meet and Greet services and operating four lounges on arrival and departure at the Bahrain International Airport in conjunction with Atbahrain’s leading role in destination management, will bring added value to Bahrain’s travel industry. The partnership will also see the development of a new and unique stop-over programme for travelers who are transiting through Bahrain. This will attract more visitors and tourists to the island and enhance Bahrain’s reputation as a travel and tourism destination. Atbahrain is a wholly owned subsidiary of Bahrain Mumtalakat Holding Company (“Mumtalakat”). The company is focused on developing, managing and marketing Bahrain as a travel and tourism destination, and aims to partner with key players globally and in Bahrain’s market in order to strengthen Bahrain’s proposition locally, regionally and internationally. Atbahrain has clear strategies for several segments of the travel, tourism and hospitality markets.